Publisher Excalibur has announced that 12 Hit Combo’s 3D isometric action shooter Space Overlords will be released for the PS Vita, PS3 and PS4 in September 2016 digitally via the PlayStation Network featuring Cross-Buy support. Space Overlords follows the story of four brothers known as the Overlords who have been incarcerated by the evil Kesedihan for many years whilst he has slowly destroyed the cosmos. Now is the time for you and your brothers to rise up and purge the evil contaminating the planets you have nurtured over the centuries and enjoy this cosmic blast-fest whilst you’re doing it. The three Sony formats pretty much offer the same gameplay experience with the exception of the varying multi-player options (PS Vita single player, PS3 two-players, PS4 up to four players). You can level entire planets on a galactic scale to put an end to the tyrant’s control and evil. 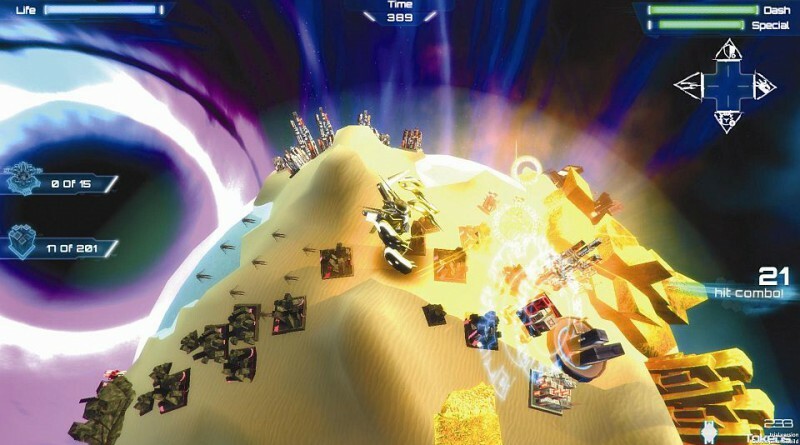 The pick up and play style of gameplay puts you straight into the centre of the action – razing buildings and smashing through planetary defences. Regardless of whether you are playing as a lone wolf on your PS Vita or forming a team of four on the PS4, the expansive game mechanics can take you to 56 planets across seven galaxies. In addition to the four Overlords you can unlock up to a further four – each with their own unique style, stats and attack modes.